Sandy Floorboards: A custom commission.. 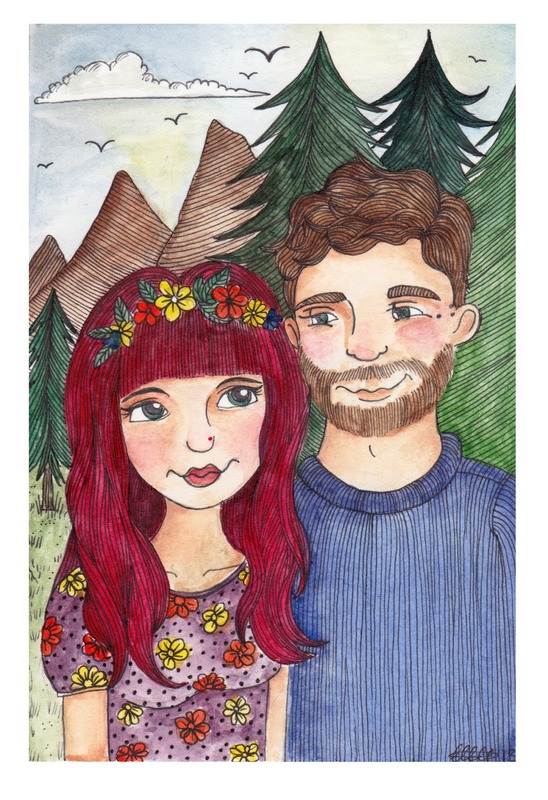 I recently had a commission from a lovely lady named Rosie, she wanted a custom portrait of her and her loved one for a surprise birthday present. 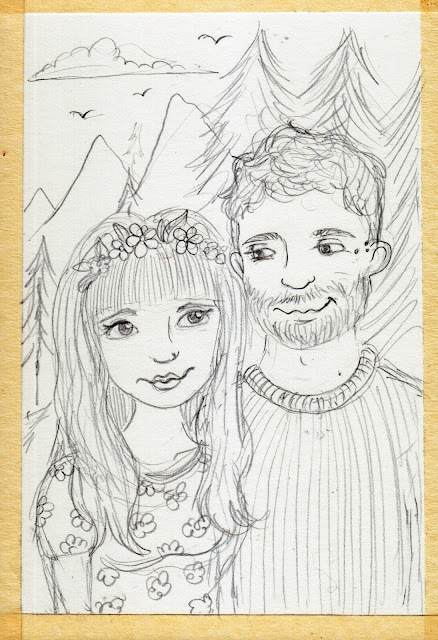 I worked from photo's that she sent me and little details such as their love of the outdoors. Now she has received it i can show you all. Happy Tuesday, it's raining here in London how depressing!